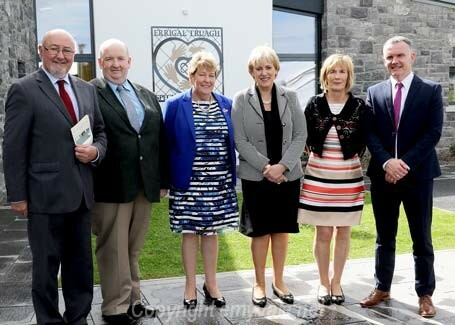 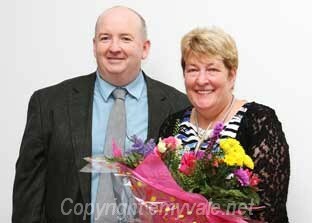 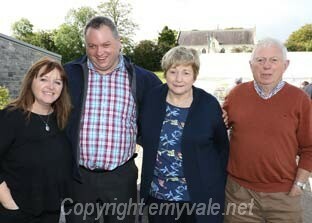 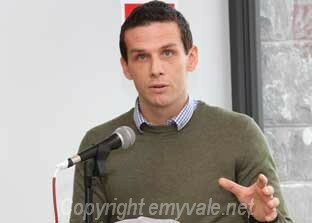 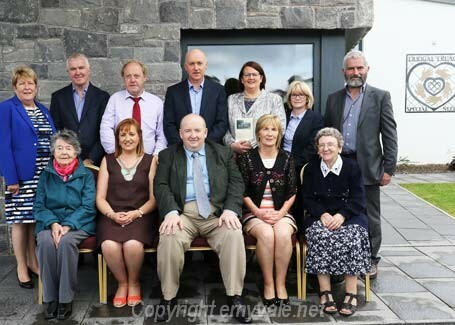 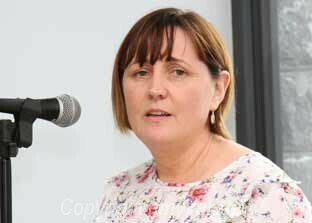 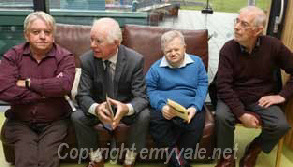 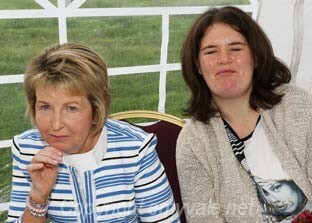 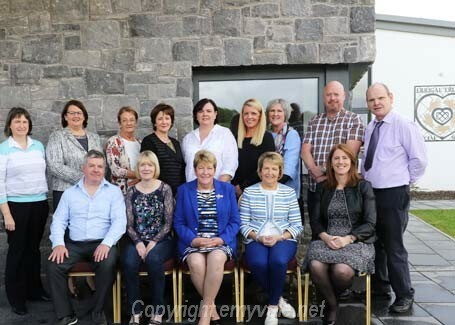 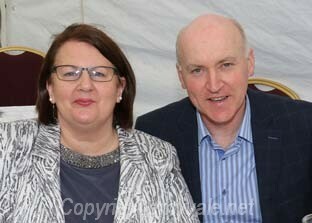 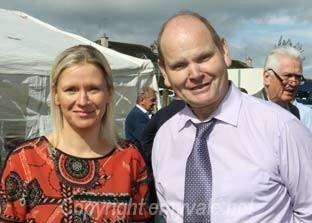 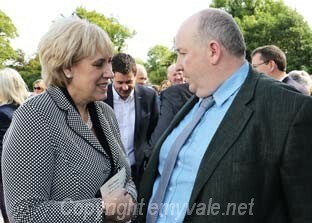 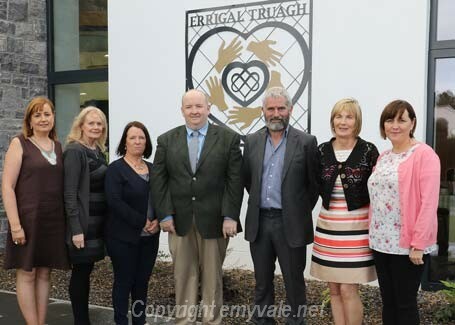 Truagh Special Needs Centre Officially Opened. 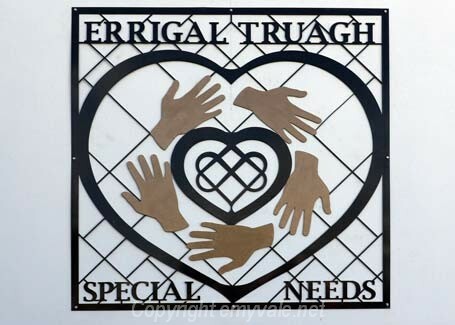 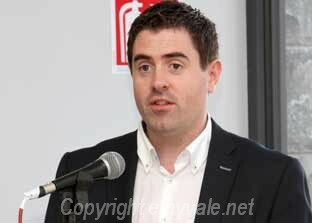 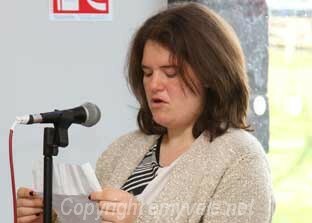 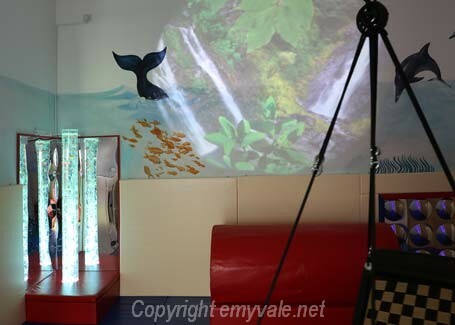 The new facility for the Truagh Special Needs Group was officially opened on Friday, September 8th at 11.00am. 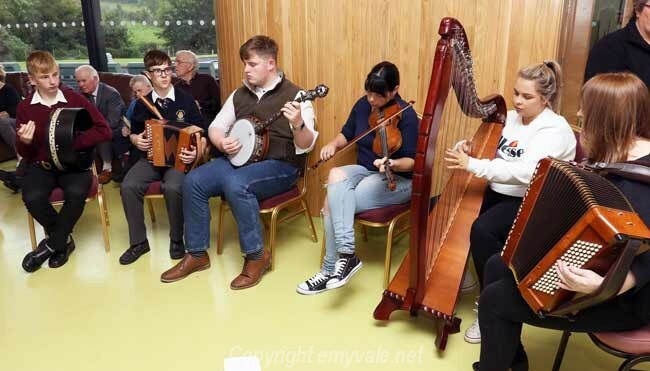 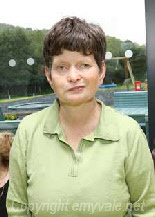 Prior to the formal part of the event music was supplied by members of the Blackwater Music Group led by Marina McCluskey Mohan. 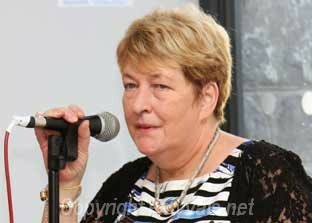 Conducting the formalities was Bernie McKenna, Centre Manager, and she welcomed all and introduced the various speakers. 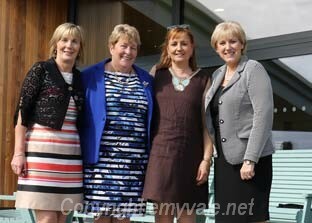 These included Avril Coogan, on behalf of the Service Users, who welcomed all to the event and thanked all who had been involved in the project; Helen McKenna Brady who, on behalf of families of service users, explained what the new Centre would mean to the users and their families and spoke of the fantastic benefits that will be shared by both; Majella Treanor also spoke on behalf of services user families with special concentration on the new Autism Unit, which is an integral part of the new building, and the exceptional need that exists for such a unit; Barry Cuddy, Principal of Edenmore National School, gave further details of the benefits, indeed the increasing need, that there is for such a unit and how it can assist those diagnosed with autism to integrate with main stream education and society; Mr. Dermot Courtney spoke on behalf of the HSE and praised the vision and work of the Truagh Special Needs Centre; Ronan Fitzpatrick, on behalf of Craft Studios, who were the chief architects and design team for the project, stated that they were honoured to be selected for the project and praised the Committee for the excellent manner in which they helped design and complete the building of the Centre; Paddy Flood spoke as Chairman of the Board and he gave a brief timeline of the history of Truagh Special Needs and the journey to arrive with this wonderful Centre. 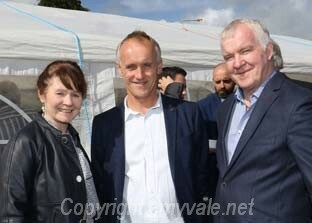 He praised all involved and had immense thanks and commendation for the community as a result of the exceptional support, assistance and encouragement they received for the project. 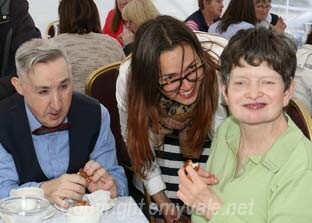 He had great admiration for all the people who work with the Special Needs and thanked them for all they do. 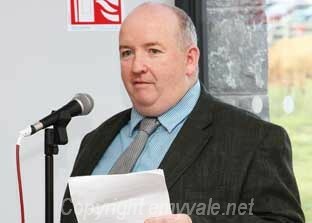 He had many words of endorsement for Craft Studios and for the contractor, John Mullan, Knockatallon. 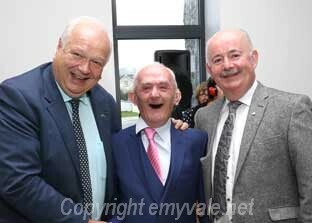 He thanked Mickey Treanor for his great assistance and work in so many ways and paid a special tribute to three ladies without whom the Centre would never have begun or finished. 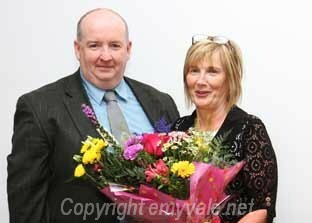 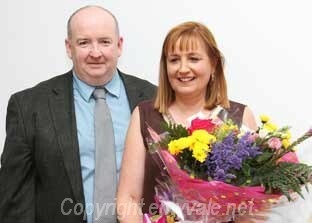 He presented each with a bouquet of flowers - Bernie McKenna, Ann Treanor and Helen McKenna Brady. 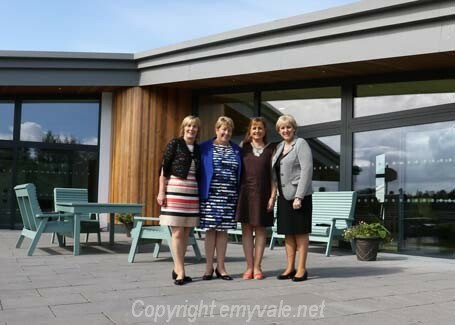 Anyone who have been around the Special Needs group or who have visited the Centre, old and new, would know that Paddy's praise for these ladies is well deserved and more. 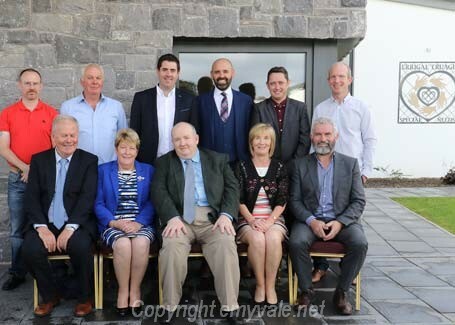 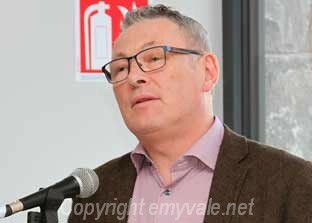 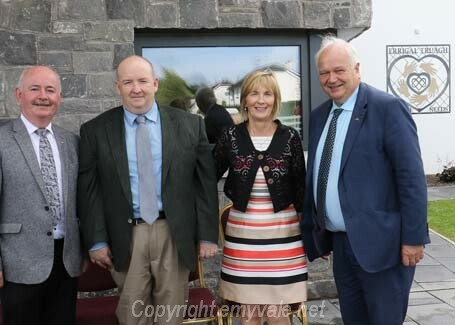 Paddy also thanked everyone who contributed financially or otherwise to the completion of the building and stated that there are further plans to develop the services available in the Centre and hoped that the community and Government would assist them to make these a reality. 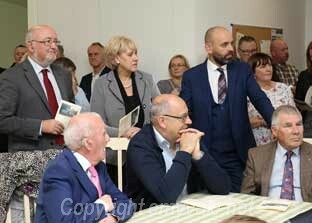 All then went outside and the sun shone as the 13 Service Users, each with their own scissors, on signal cut the tape and declared the Centre Officially opened. 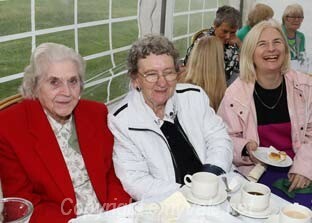 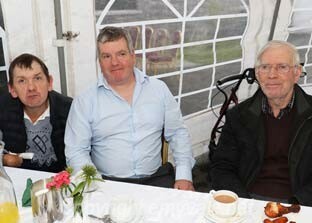 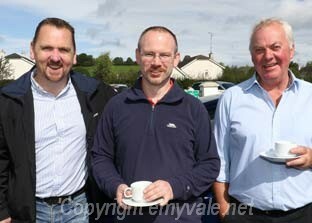 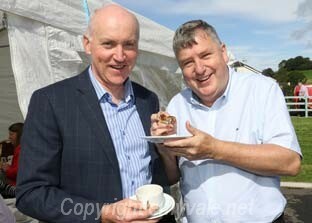 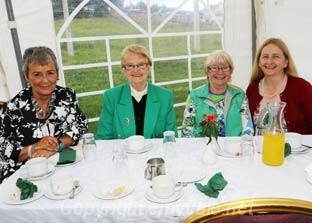 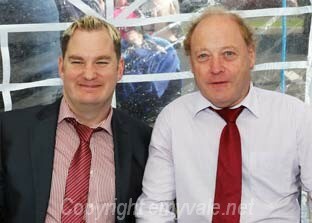 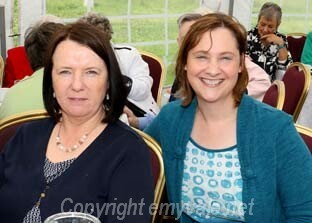 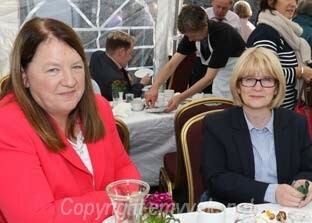 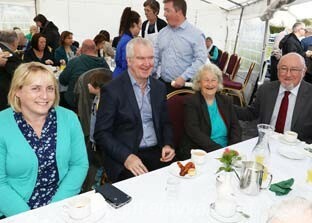 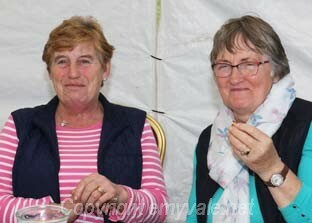 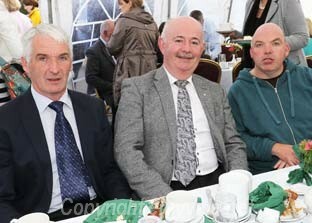 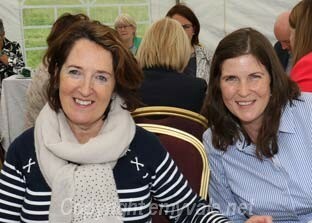 After that all retired to the Marquee and enjoyed a tasty lunch provided by the neighbouring Blackwater Catering Group. 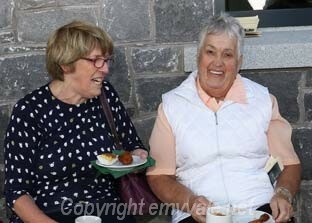 Chatting and socialising continued for some time afterwards. 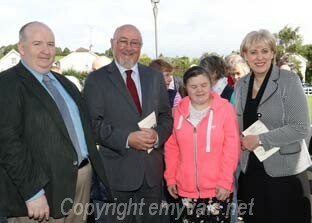 It was a beautiful ceremony and a wonderful occasion and our congratulations to all involved. 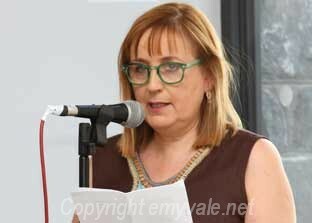 Our report give a brief outline of the occasion but it is difficult to express in words the emotional and inward satisfaction enjoyed by those who were behind the project.